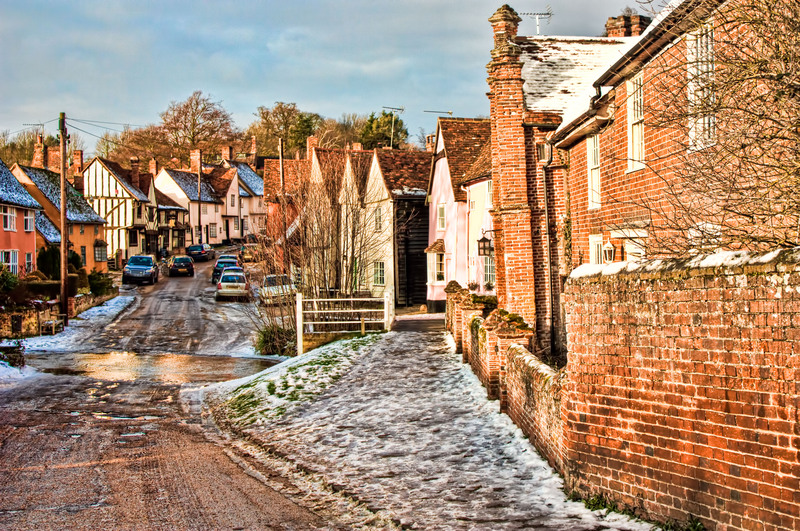 Yesterday, Christmas Eve, we took Mum out to a little village called Kersey that Jan remembered from visiting years ago. 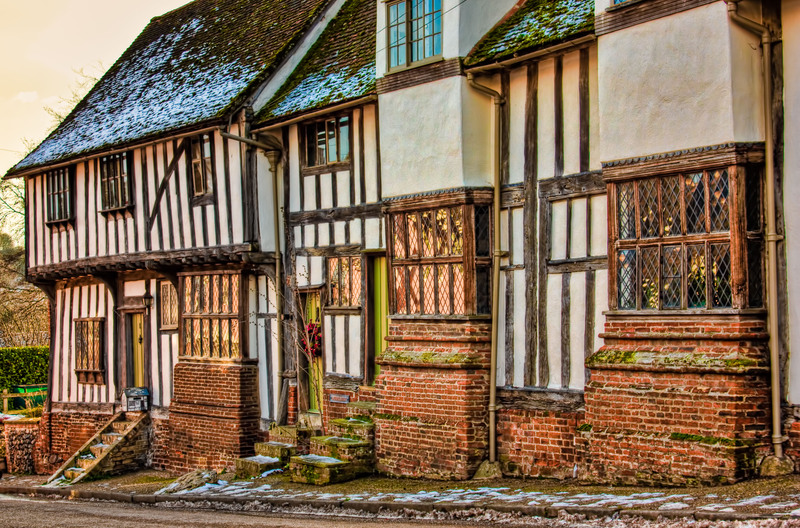 It was a typical Suffolk village hardly spoilt. We had a lovely lunch in The Bell pub next to a roaring log fire. On the way home we all sang Christmas songs and took in the snow covered fields; a real Christmas scene. Great fun. This entry was posted on December 25, 2010 by Arthur McWerter. 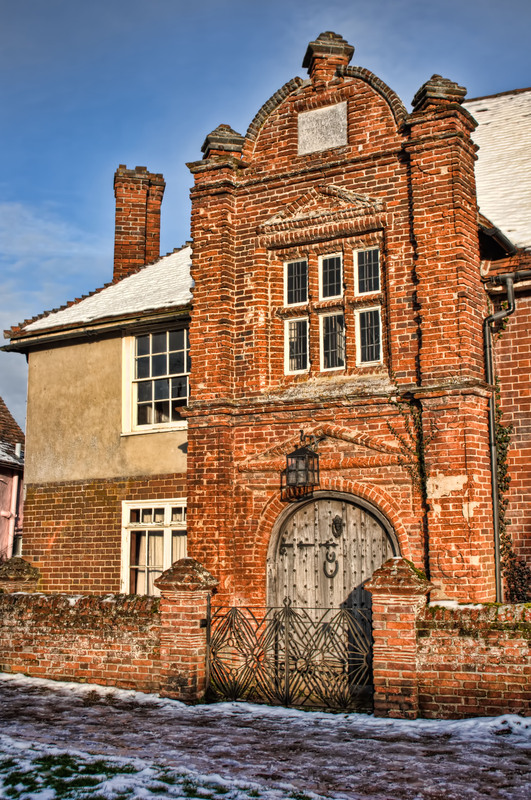 It was filed under Architecture, Countryside and was tagged with houses, red brick, roads, snow.